The trailer for Dead Island is doing the rounds. Very powerful stuff. UPDATE: Dan Bull’s Shaun of The Dead Island mashup is an instant classic also. Should we be watching zombie movies backwards from now on? Up to a point. Jane McGonigal, the author of a new study into the effects of playing video games suggests that anything up to 21 hours a week can enhance a range of real world skills. When we play a good game, we get to practice being the best version of ourselves: We become more optimistic, more creative, more focused, more likely to set ambitious goals, and more resilient in the face of failure. And when we play multiplayer games, we become more collaborative and more likely to help others. In fact, we like and trust each other more after we play a game together — even if we lose! And more importantly, playing a game with someone is an incredibly effective way to get to know their strengths and weaknesses–as well as what motivates them. This is exactly the kind of social knowledge we need to be able to cooperate and collaborate with people to tackle real-world challenges. However, McGonigal believes that adverse effects start to kick in over the 21 hours a week mark. If you’re playing 28 hours a week or more, “the time starts to distract you from real life goals and other kinds of social interaction that are essential to leading a good life”. If you can keep your gaming in check, however, it becomes something that has a “spill-over” impact on the things you do subsequently. This includes boosting confidence and teamworking skills. 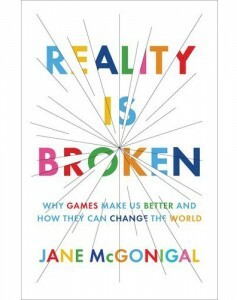 McGonigal points out that “the average young person [in a US study] racks up 10,000 hours of gaming by the age of 21”. In Outliers, Malcolm Gladwell identifies 10,000 hours as the amount of practice required to achieve “true mastery”, or “world class expertise”, in any particular skill, be it writing fiction, playing the violin, or programming in PHP. Does this mean that Generation Y is stuffed with Jedi masters as yet unaware of their superpowers? How many more Zuckerburgs are there out there? The next ten years could get very interesting for the human race.